In pregnancy a blood pressure of 140/90 is considered to be borderline. Higher readings are regarded as pathologic. Though the disadvantages of blood pressure measurement with the usual sphygmomanometers are well known, most investigations are based on this method. 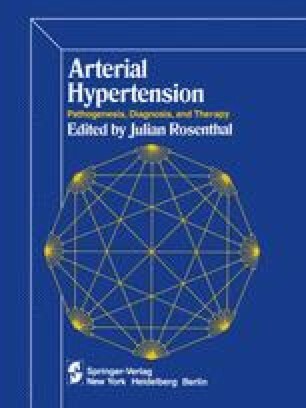 There are also studies on the direct measurement of intra-arterial blood pressure,33 but the authors found a relatively close correspondence to the usual, simpler methods of measurement. No correlation was found between blood pressure levels and arm circumference or skin-fold thickness in this area.